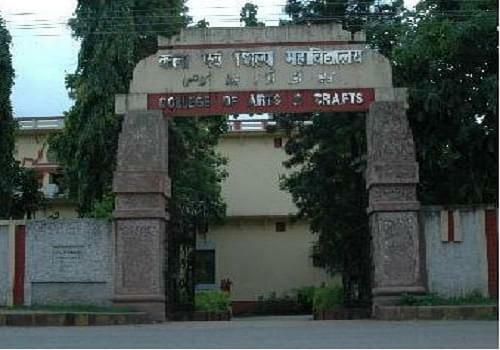 College of Arts and Crafts, Bihar, Patna was established with a view to give advanced training to the students in visual arts and fine arts. 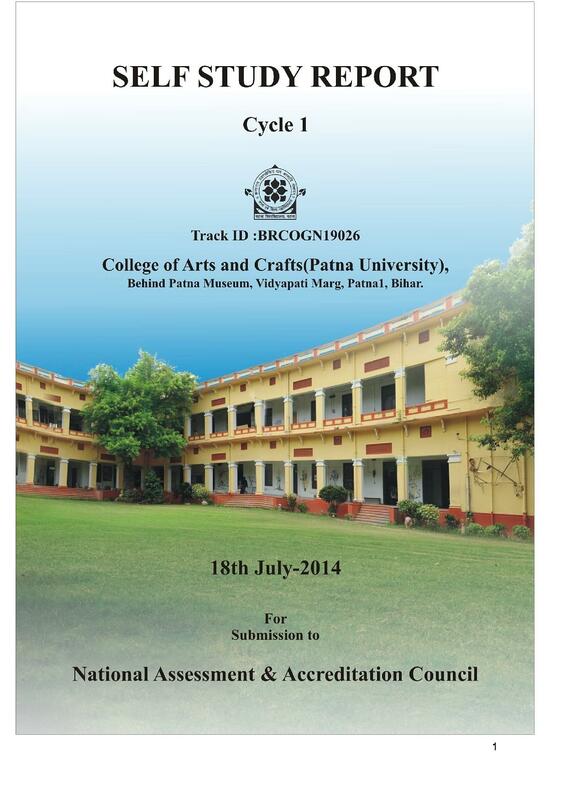 The prestigious college has been regarded as center for excellence by Patna University. The objective of the training programme isÂ Â refinement of studentsâ€™ skills and perceptions along with development of taste for creativity. The strategic vision of programme is to foster excellence in fine art and visual art and towards development of research oriented atmosphere. 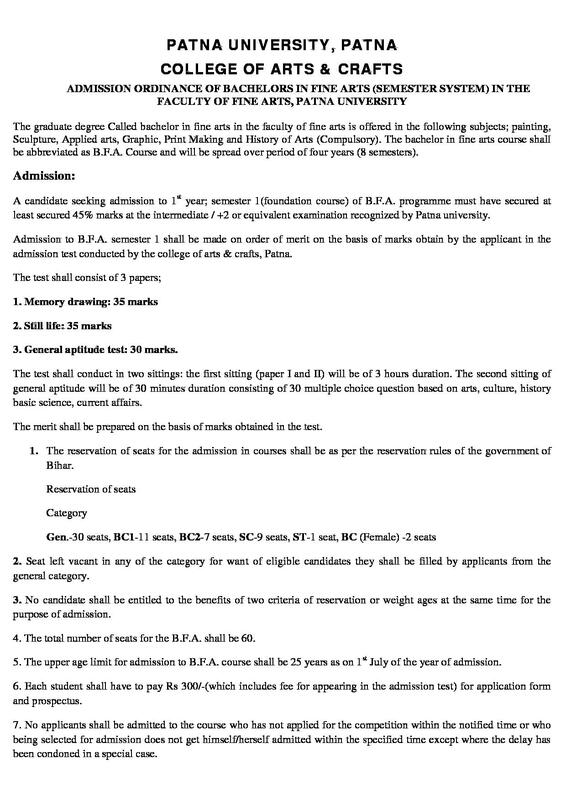 The vision of the college is very well carried by the staff members through artistry and management. 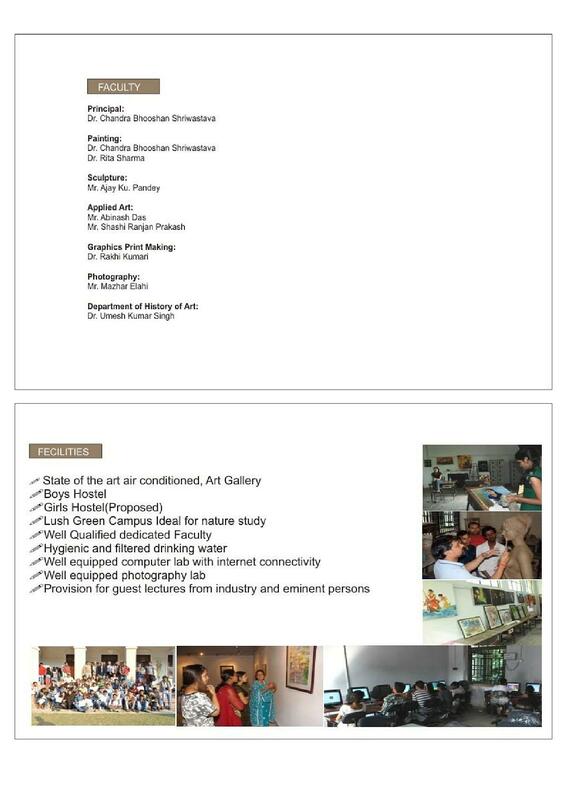 The college targets to unlock the artistic potentials of the students which can be attained by collaborative effort which promote independent thinking. 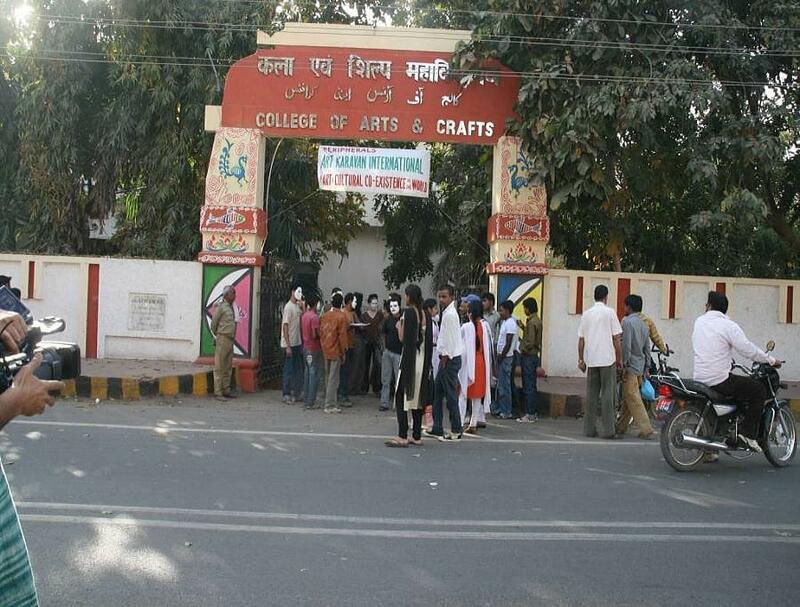 The objective of the college is to maintain high standard of academic and artistic standards. The college strives to prepare the students to pursue professional and educational goals so that they can contribute for the life and well being of the society. 3 km from the Patna Railway Station and 2.5 km away from Gandhi Maidan. 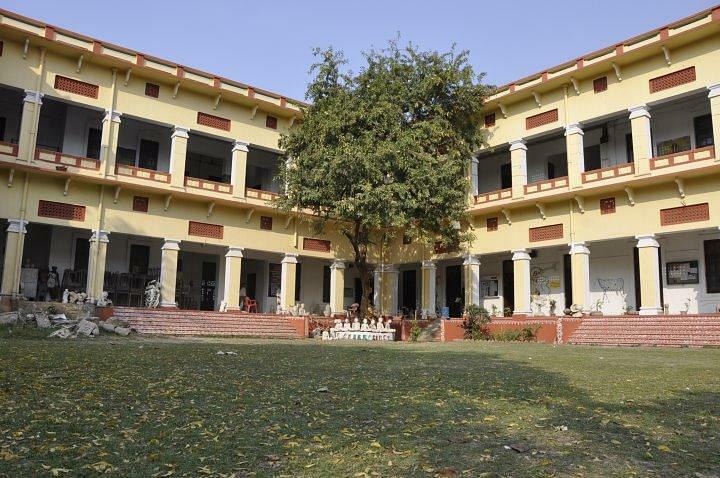 Glorious past: The College has a very prestigious past of fostering creative thinking and artistic endeavour since 76years. 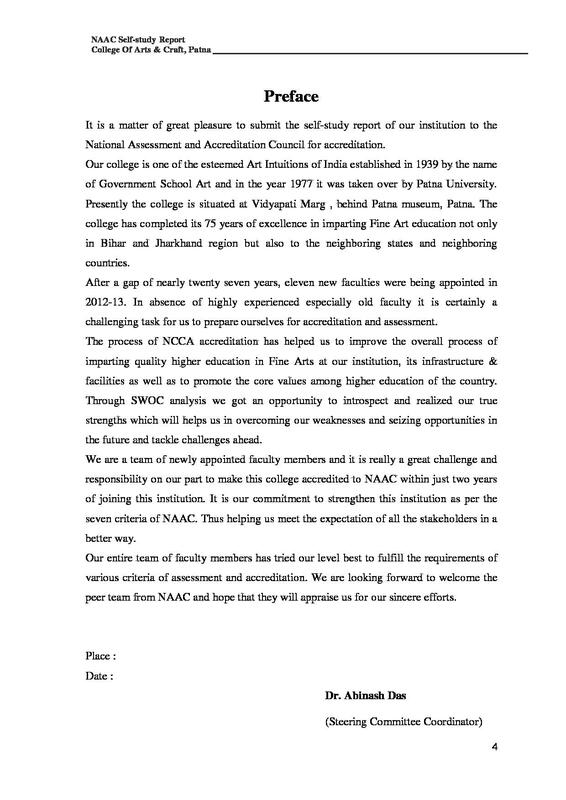 It has been selected by the government of Bihar as a college having potential for excellence in 2012. 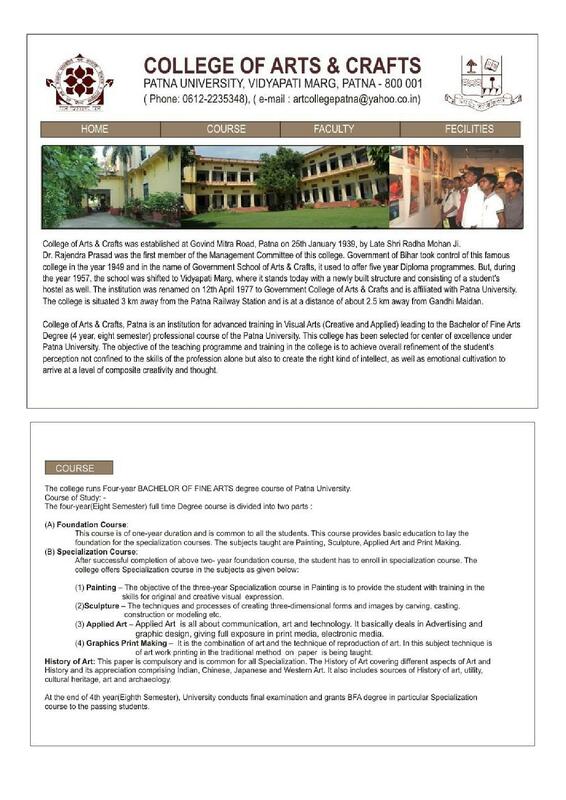 Enriching experience: The College regularly celebrates festivals and events to display the brilliance of the students and for grooming the skills of the students; such as foundation day, youth festival, college educational tour, internship programmes, international conferences, workshops, competitions, demonstrations, conferences, demonstrations etc. Teaching by veterans: The College has renowned artists and performers as faculties; their vision helps in polishing the studentsâ€™ skills. 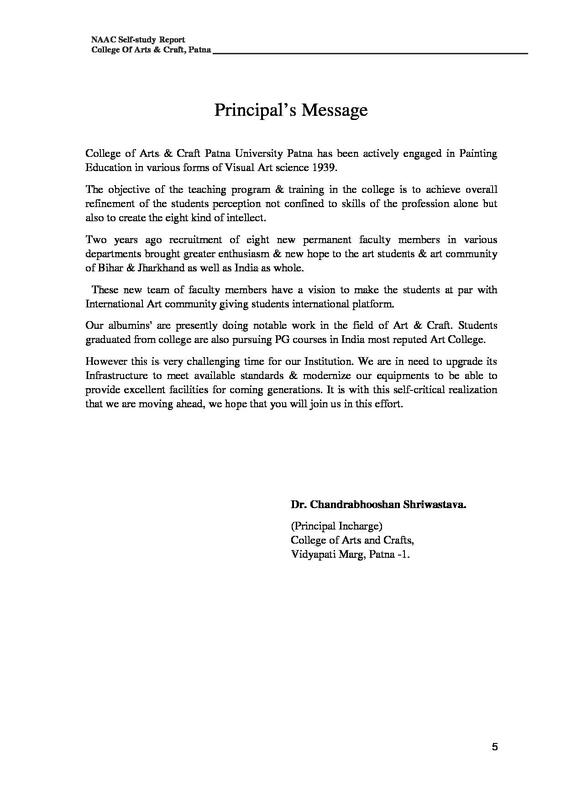 Demonstrations by famous and eminent artists: Several eminent artists give demonstrations in the college. The students interact with the visionaries like Sunil Vishwakarma, S. Pranam Singh (BHU) and learn from their experiences. 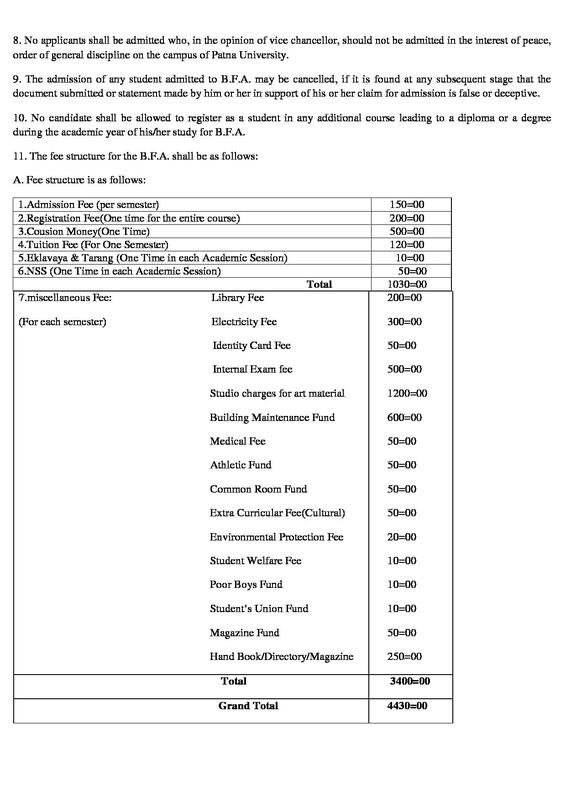 Patna University was established in 1917. 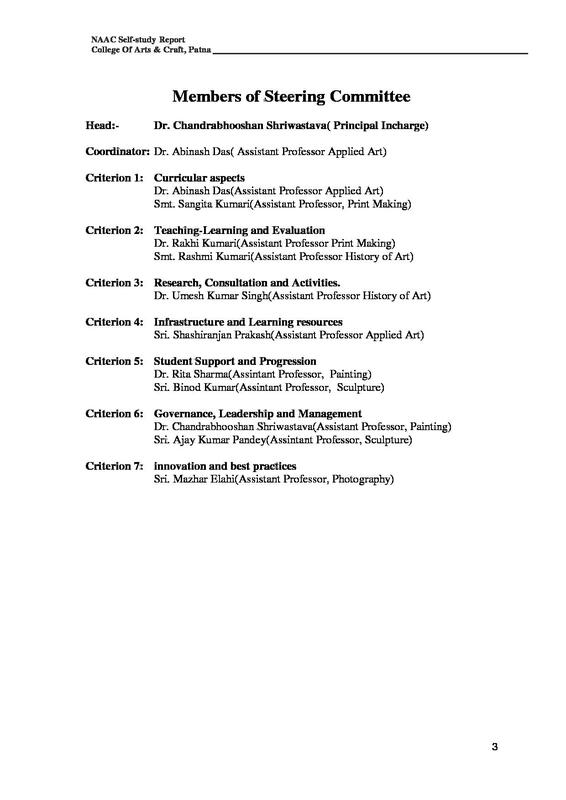 It offers various UG, PG, PG Diploma and Research courses in various disciplines in the field of Commerce, Science, Humanities, Education, Management, Computer Applications, Library Sciences and Law.